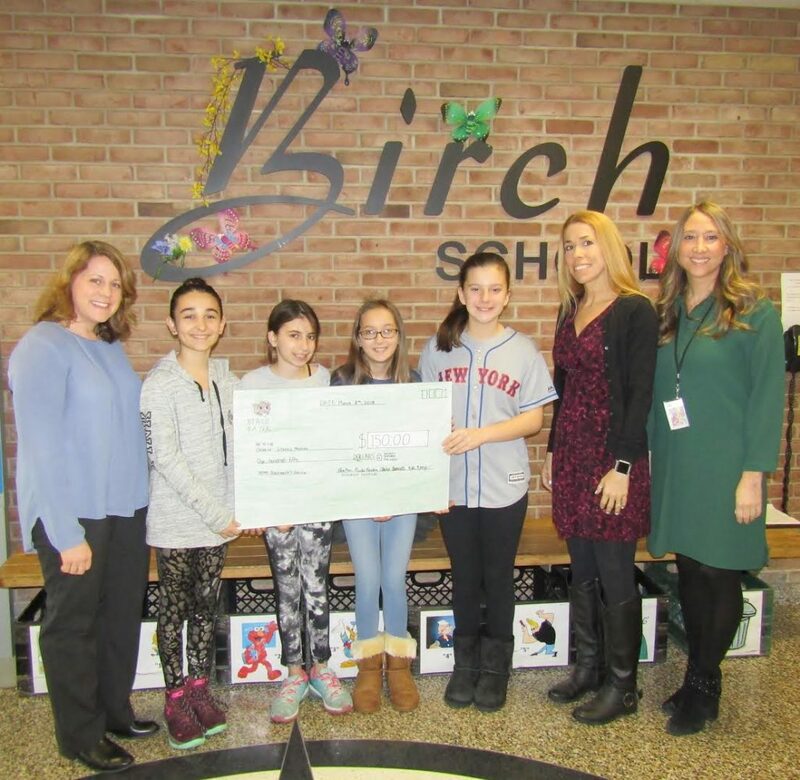 Four industrious sixth-graders at Birch School in Merrick recently created their own fundraising campaign, Bookmark$ 4 Charity, to help others with their language skills. Four sudents teamed to create and sell bookmarks in school to raise money for the nonprofit organization Literacy Nassau. Students Ava, Claire, Kate and Paula developed the concept and managed all aspects of their fundraiser. They created order forms that were distributed to the entire school and offered a choice of several themed bookmarks, including sports, emojis and even made to order concepts. Karen Micciche, executive director of Literacy Nassau, recently visited Birch School to accept a check for $150 from the team for the money they raised. Literacy Nassau is a Long Island nonprofit organization that trains literacy volunteers to help adult learners (18 and over) with reading, writing or speaking English. Volunteers are recruited from all over Nassau County and they are trained and supported by Literacy Nassau throughout the year. Photo Caption: Pictured (left to right) are Birch School librarian Vanessa Schroeder, Birch studenst Claire, Paula, Ava, Kate, Literacy Nassau Executive Director Karen Micciche and Birch Principal Kerri Galante, who presents Micciche with the “big” check from the school’s Bookmark$ 4 Charity fundraiser.